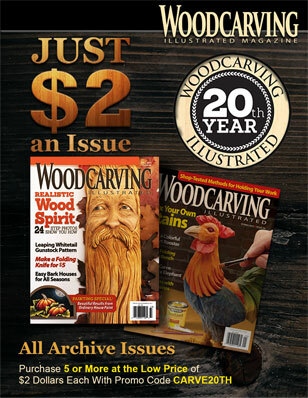 This article was first published in issue 42 of Woodcarving Illustrated. 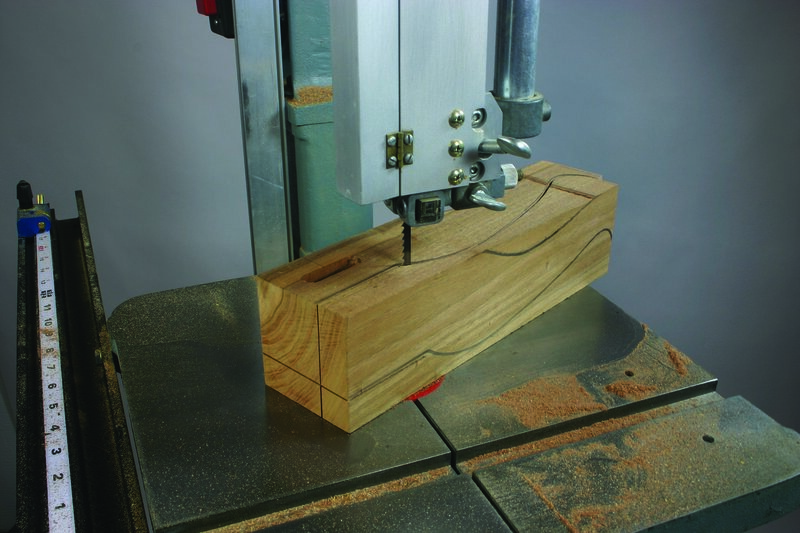 Band saws tend to be one of the first power tools a new carver invests in. 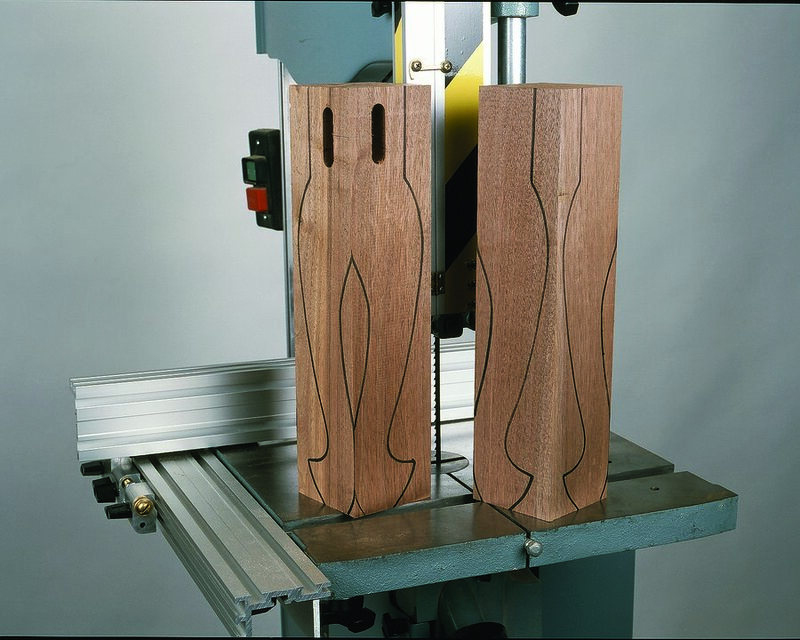 Carvers of all skill levels use the band saw to cut out a blank, but after you cut out one view, you usually have an irregularly shaped edge that makes it difficult to cut out the second profile. 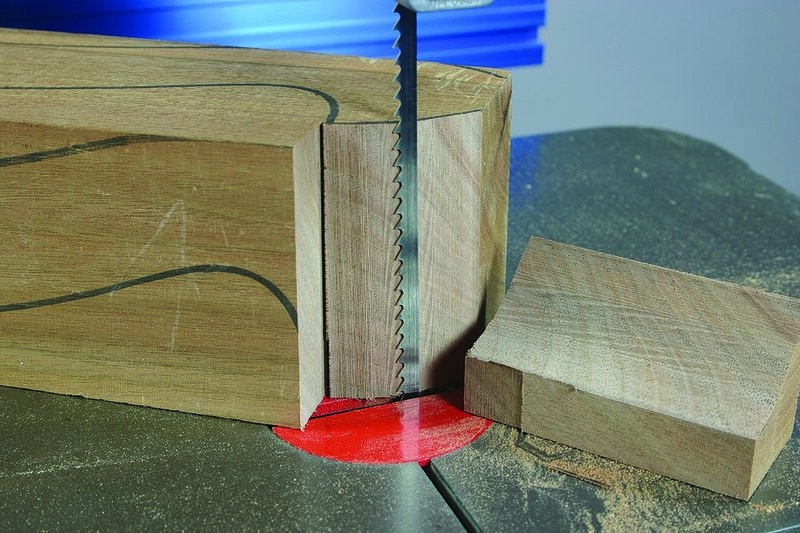 While you can rough out the other profile with carving tools, there is an easy way to cut it on the band saw. 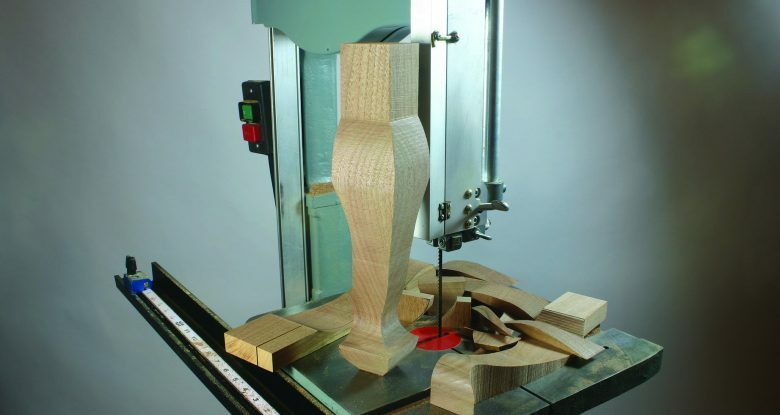 I’ll demonstrate the technique on a cabriole leg, but the technique is the same for any 3D or in-the-round project. 1. Transfer the pattern to your stock. Trace the front and side profile onto the blank. Be sure to properly align the two views with each other. 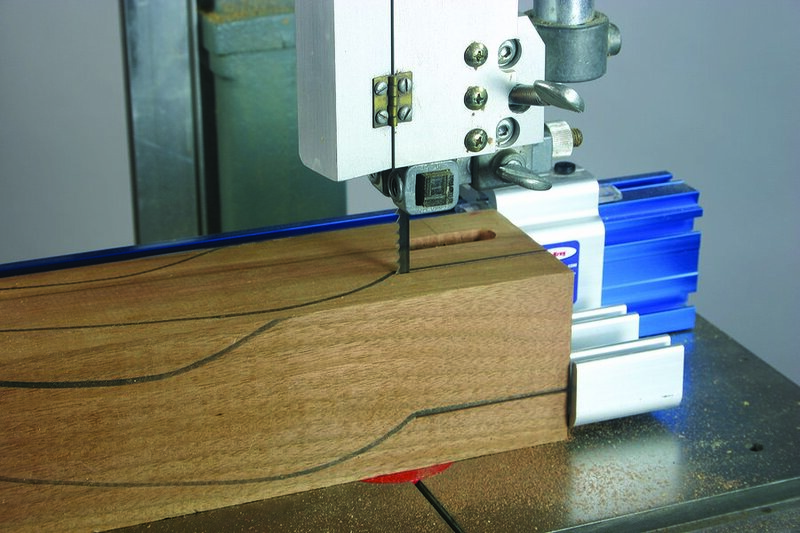 You may want to round some areas and draw a new line outside the pattern line to make cutting easier. 2. Establish landmarks and cut straight lines. Score a line for key areas on both sides of the blank. 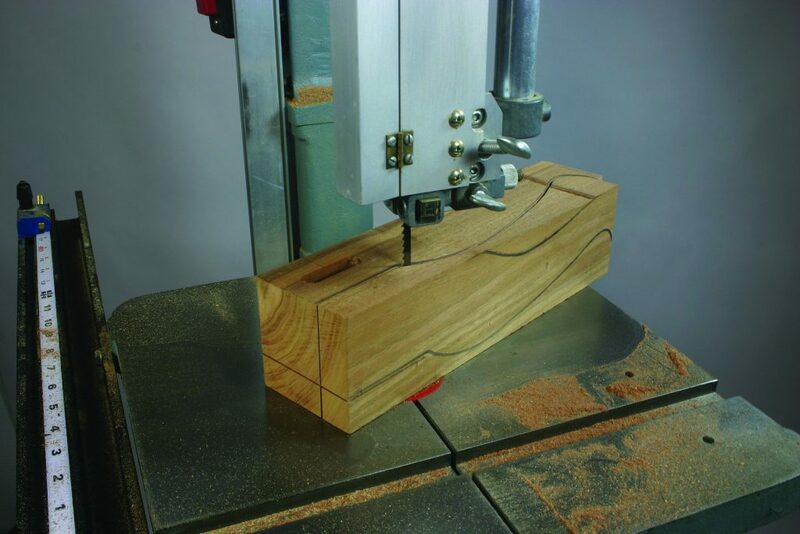 A scored line functions as a type of stop cut, giving you more control. 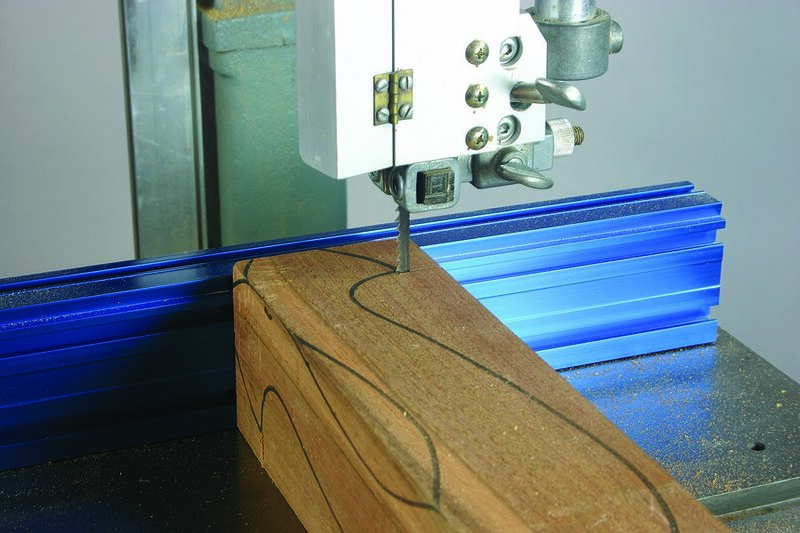 Then cut any straight lines using the band saw’s rip fence. 3. Cut the first side. Small waste sections can be cut free, but keep as much of the waste in place as possible. Use hinges (see step 4) to keep the pieces together. Keep any loose waste pieces to replace when cutting the opposite side. 4. Use hinges to maintain a flat surface. 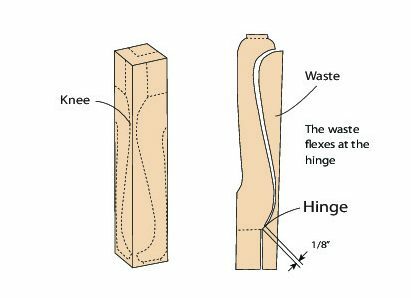 Leave 1/16″ or 1/8″ of material uncut to create a hinge to keep the waste in place. The hinge allows the waste to flex so you can withdraw the blade, and the waste provides a flat surface so you can make the second cut. 5. Cut the opposite side. Rotate the stock and cut the second profile. Hold any loose waste in place if necessary to follow the pattern line. After cutting the second profile, saw through any hinges, and remove the waste to produce your carving blank. 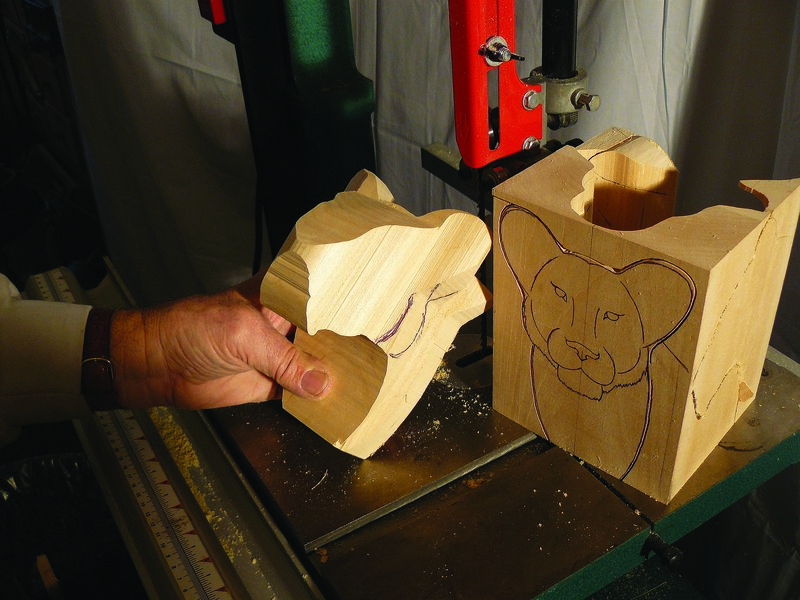 Mark Duginske is a lifelong woodworker from Merrill, WI. 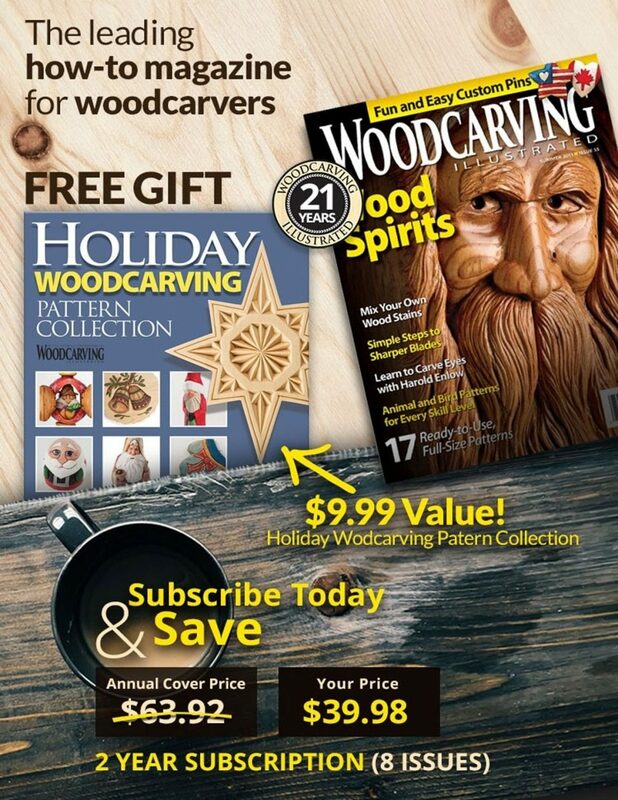 He is the inventor of many woodworking aids and devices and is the author of several books on band saws. Read more in The New Complete Guide to the Band Saw!